The EPSRC Future Metrology Hub is looking to develop measurement equipment on the machine, which is still independent of the manufacturing process, but doesn’t have to be manoeuvred into place. Will Stirling reports. Measurement and validation is a cornerstone of manufacturing engineering, arguably the most important pillar, and overlooked in terms of ‘manufacturing strategy’ and by the media, in comparison to more visible fields such as additive manufacturing and robotics. That could change, as a new heavily invested UK research centre for advanced metrology gathers steam. For decades, a manufacturer of components that require a high degree of accuracy would machine and form their parts using machine tools, and measure a regularly but randomly selected part on a coordinate measurement machine, or CMM. This process validates the parts, in batches, for an industry where such verification is a regulatory requirement, such as aerospace. Such a CMM measurement is typically done in a quality room by a dedicated team, though not always. This final stage or ‘tailgate measurement’ is an additional process, and therefore a cost for a company. Depending how frequently each part is validated, it either adds greatly to the total manufacturing time or, for less frequent measurements, risks potentially scrapping a whole batch of parts that were made before the offending component failed the CMM stage. With Industry 4.0 and smart factories being the à la mode terminology, this area is receiving huge attention and is a main focus of the EPSRC Future Metrology Hub headquartered at the University of Huddersfield. So how can smart measurement work? 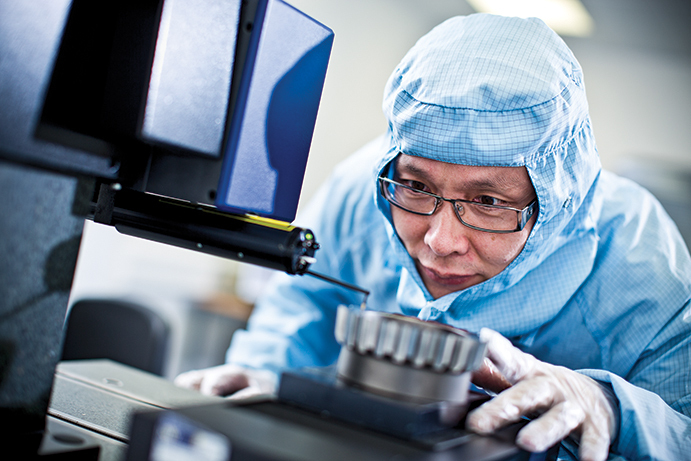 Metrology technology has been drifting towards non-contact, optical or laser systems, combined with or instead of touch probes, for several years. But – for some applications – these tend to be much slower, requiring manual and accurate positioning during manufacture. The strobe angle of the optic can be affected by reflections – known as optical diffraction – and there are other practical challenges. The hub’s work is focused on this. One project is to increase the capability for high dynamic range measurement, the ability to move measurement equipment away from the work piece and measure from distance. “We are looking at methods to move the equipment further away, potentially up to several metres, while still maintaining the capability for micron level accuracy,” said Young. New equipment is being developed to progress metrology for the smart factory, where less human interference and higher accuracy is desirable. Measurement heads on robotic arms can deliver in-process measurement today. Renishaw has an in-process metrology system with SAI, a wheel manufacturer in Taiwan. It reduced rework by 80 per cent, and reduced scrap from 2 per cent, to 3 per cent to 0 per cent, where previously some wheels had to be processed twice to achieve the necessary precision. But typically a factory would still move the measurement station in, measure the part, then move the tool away, remaining a secondary process and causing delay. The hub is now looking to develop measurement equipment on the machine, which is still independent of the manufacturing process, but doesn’t have to be manoeuvred into place. Optical interferometers, where electromagnetic waves are superimposed causing interference and therefore map a position, allow such measurement and can be mounted for measuring at some distance, carrying out the measurement stage more quickly especially for high-volume applications such as automotive. Lower volume, but much larger components such as aircraft wings that need to be measured very accurately, are also not well suited for a small mobile metrology station to measure in stages. “If you can move that station further back, you can take in the whole part and measure it.” Scanning devices, such as Faro’s Cobalt Array Imager, can be used for this but such light-based systems have accuracy limitations. Optical interferometry is a technique being researched by the hub that could plug the accuracy gap. Smart metrology such as these optical interferometers is essential to the ‘future factory’ where more point-of-manufacture quality and process control is applied to improve manufacturing productivity, and enable highly automated production with minimal skilled labour. “This will naturally reduce dependence on traditional ‘tailgate measurement’ and dedicated quality rooms,” said Paul Maxted, director of industrial metrology applications at Renishaw. As there will still be some industries where final validation is a regulatory requirement (for example aerospace and medical) there will still be a need for some end of line CMM verification under Industry 4.0. However the confidence of parts conforming at that point will be much higher due to the measurements and controls applied during production, said Maxted. “We also see a requirement for increased levels of measurement during production to allow more visibility and responsiveness to address sources of variation and prevent quality issues – infrequent measurement leads to ‘blind spots’ where there will be an amount of work-in-progress that will need to be quarantined and validated when issues arise – this is particularly relevant to high-volume, lean manufacturing industries where part flow is tuned to downstream machining and assembly operations,” Maxted added. 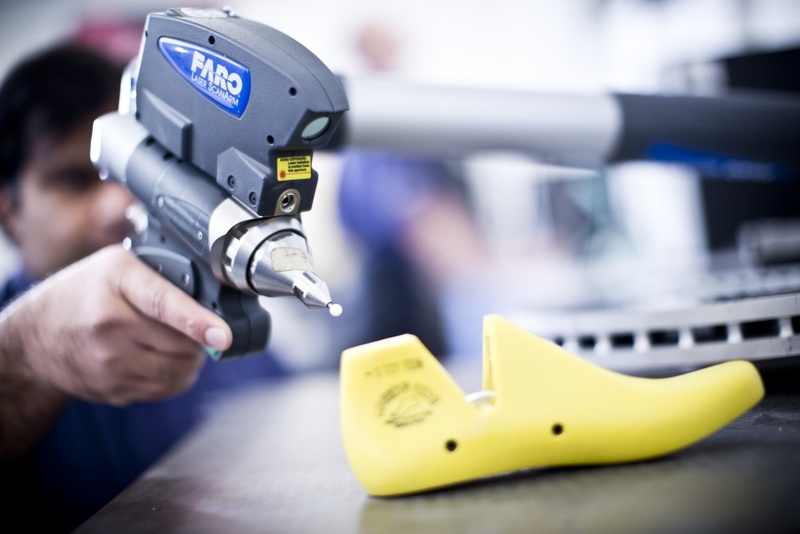 Embedded metrology for manufacturing is just one field of research in an exciting area of British engineering, which also includes forensic metrology, such as ballistics identification, and metrology for medical engineering. 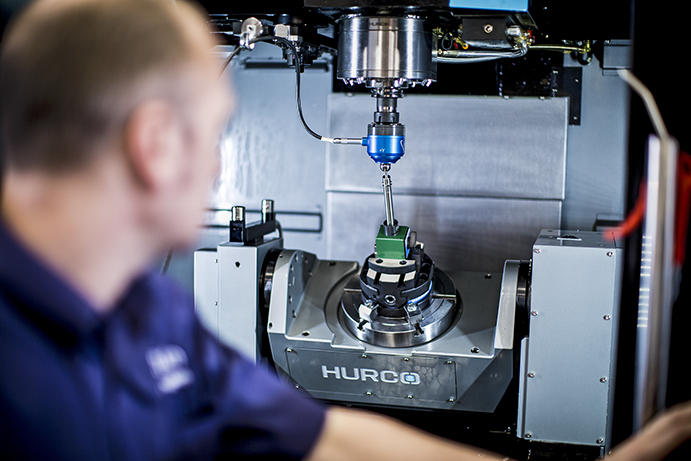 The Metrology Hub operates a spoke model with the universities of Bath, Sheffield and Loughborough University, which have expertise in fields such as large volume metrology which supplement Huddersfield’s background in surface metrology, optical instrumentation and machine tool metrology.